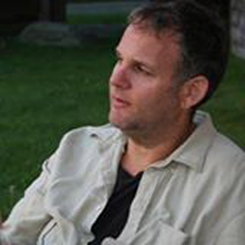 Michael Backus’ writing, fiction and non-fiction, has appeared in Digging Through the Fat, Okey Panky, One Story, Exquisite Corpse, Cleaver, Oyster River Pages, Prime Number magazine, Every Writer’s Resource, Hanging Loose, The Writer, and The Sycamore Review, among others. Xynobooks published his novel Double in ebook-only form in 2012, and The Vanishing Point will be published as a physical book by Cactus Moon Publications in 2018. He teaches creative writing for Gotham Writer’s Workshop and Zoetrope Magazine and lives in Albuquerque, New Mexico. 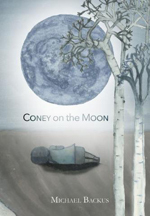 Based on his mother’s recollections of the night she had to run from her home in the hills to search for help for her own dying mother, Michael Backus’ Coney on the Moon brings the Kentucky countryside of the mid twentieth century to vivid, startling life. Seen through the eyes of a strong but terrified young girl, it is a land full of local eccentrics, native legends, and half believers in ghosts. This heartbreaking and gorgeous story is a meditation on family, mortality, and the persistence of story.